First, setting a deadline on the end of March 2017 for the official notification of the UK’s intention to withdraw from the EU to the European Council (the so-called triggering of Article 50 TFEU); and second, indicating that control over migration policy and ending the jurisdiction of the European Court of Justice over the UK will be the main priorities in her negotiations with the EU-27. The Government will bring a Great Repeal Bill before Parliament in next spring’s Queens Speech designed to pave the way to incorporate the entire body of relevant EU Law into UK law at the date of Brexit, but to terminate its application to the UK thereafter. With 12,295 EU regulations alone requiring transposition into UK law before Brexit this is a mammoth legislative undertaking. The Bill will end the application of EU Law from the date UK membership of the EU ceases, and will repeal the European Communities Act 1972 and the subsequent amending legislation which has provided for the UK’s membership of the European Communities, and later the European Union, since January 1973. The Bill would therefore "grandfather" existing relevant EU rules into the UK’s legal systems and would only seek to gradually repeal or amend those measures considered “unnecessary”. It would be likely that the Labour Party and trades unions will seek strong guarantees that no social, environmental or employment legislation would be diluted in terms of enforceability or standards when these become purely domestic matters. Labour, the SNP, the Liberal Democrats, Greens, and SDLP may even seek guarantees to be written on the face of the Bill on these issues. The sweeping executive powers given to Government ministers to make and unmake legislation under this Bill may also be the subject of strong constitutional objections among MPs and, in particular, peers. The Government’s plans also intend that the status of European Court of Justice (ECJ) judgments which have formed part of our legal systems in the UK since 1973 will be determined by the UK Supreme Court, with the presumption being that all judgments until the date of membership cessation will be deemed to be applicable. After that, the status of ECJ judgments post-Brexit will be non-binding. References of cases to the ECJ will cease, and the UK Supreme Court will become the ultimate and final arbiter of issues around competition law, state aid, and ECJ legacy issues within the legal systems of the UK. First, the Article 50 triggering begins the two year negotiating period in terms of the basic agreement required for the UK to leave the EU, dealing with budgetary contributions, liabilities for UK nationals working in the EU institutions, recalibration of voting rights and representations on the institutions, but also in terms of the parallel discussions on a new relationship between the UK and the EU-27. Although this two year negotiating period can be extended, this can only occur by the unanimous vote of the EU-27. We can realistically expect UK membership of the EU to cease therefore during March 2019. Second, Article 50 will be triggered before both the final round of the French Presidential elections and German federal elections due next May and September respectively. A meeting of the European Council is due in mid-March, so this may be a suitable timing for the notification to be made. The European Council will produce a collectively agreed negotiating mandate for the Commission team led by Michel Barnier, who will conduct the talks on behalf of the 27 member states and the EU institutions. The European Parliament must approve any deal reached, and in terms of the basic Article 50 withdrawal terms, the 27 continuing member states can agree by qualified majority, but any new Treaty setting out a trading and co-operative relationship with the UK after Brexit must be agreed by unanimity. There may be issues with the ratification of any such agreement as it requires the consent of all member state national, and in some cases, regional, Parliaments too. In her speech on Sunday, the Prime Minister dismissed the distinction between “soft” and “hard” Brexit, but there are major questions over the compatibility of the goals over sovereignty and control over immigration policy with the previously declared aim of achieving the strongest possible access to EU goods and services markets for the UK after Brexit. The response from EU leaders to Mrs May’s announcement has been polite but firm. Their public position is that there will be no informal discussions with the UK on possible options until the formal notification of intention to cease membership under Article 50 is made. Over the summer there has been a hardening of the positions among the EU-27, pointing to the indivisibility of the four freedoms underpinning the Single Market, and that the fullest access afterwards for UK goods and services compared with the current position, requires full access between the UK and EU labour markets. In reality the substance of the discussions is only likely to be engaged in earnest from October 2017, when the EU-27 and the institutions have responded to the UK opening position, and when the shape of the next German federal government becomes clear. As the clock ticks further down towards the expiry of the two year period, negotiating power moves further to the Commission and EU-27. The UK would be confronted with the possibility of leaving without a deal and trading on WTO rules alone. Such an outcome would hurt both sides, but would cause greater damage to the UK economy over time, costing as much as 7.5% of GDP over 15 years according to pre-referendum analysis by the Treasury. First, by ending the future applicability and effect of EU Law on cessation of membership, it confirms to all intents and purposes the UK will not be seeking to remain as a member of the EU Single Market. Membership of the Single Market requires giving effect to the EU acquis communautaire on Single Market matters. This means the Norway and Swiss options are ruled out too. In any case, the EU would not grant membership of the Single Market without acceptance of the acquis. The Government has been silent on future participation within the EU customs union post-Brexit, but although a more finely balanced discussion within Government, it is likely that this will cease too given similar policy imperatives around sovereignty and the Government’s desire to go further on tariff free trade with a range of third countries than the current EU position. Exiting the customs union will add red tape for exporters on customs checks and the EU Rules of Origin. Estimates for the increased costs for exporters are upwards of 5% and perhaps as high as 14% on the current costs of exporting goods from the UK. Second, it means the nature of the deal on future UK-EU trading and other relationships the UK is seeking is in the nature of a trade agreement, but the UK will seek an arrangement which is deeper and wider than the Canada-EU agreement (CETA). International Trade Secretary Dr Liam Fox talked about having trade conducted with the EU on as free a basis as currently. That would take any trade deal well beyond the scope of CETA. If achieved, it would be the deepest trading agreement that the EU has reached with a (soon to be) third country. We might characterise the agreement the UK is seeking as Canada+. Third, within that agreement there is considerable scope for disagreement on the settlement of disputes and any joint decision-making bodies. CETA creates enforcement and dispute resolution bodies of a bilateral nature to resolve issues arising from implementation of the Treaty. Similar institutions may be required in terms of a UK-EU trade agreement given that the UK will no longer be bound by EU Law. There will be questions about how these are compatible with national sovereignty, and investor protection clauses have proven acutely controversial within CETA in Germany, the Netherlands and beyond, and in the US-EU trade negotiations. Fourth, the UK Parliament (or the Privy Council) will need to legislate for each and all of the EU Regulations which have not hitherto required national transposition. The Government may create a simpler executive-led mechanism for non-controversial measures, but key policies like the EU Capital Requirements Regulation affecting the banking sector may require stronger Parliamentary scrutiny because of the high importance of the issue. Fifth, the Great Repeal Bill will face strong opposition in the House of Lords, which may dig in for a long battle. There is no Conservative majority in the second chamber, and since the summer, Labour peers have taken a line on issues independent of the Party leadership in the Commons. It will require great dexterity by the Government to avoid significant delays. As the Conservative Party manifesto in 2015 proposed defending the UK’s role within the Single Market this may embolden peers further. If the Labour leadership found sufficient reason through lack of forward facing guarantees on employment, social or environmental regulation, it may consider sufficient reason exists to oppose the Bill at some stages – either at Second Reading (through a reasoned amendment) or at Third Reading. As a constitutional Bill all stages of the Bill will take place on the floor of the House of Commons, and the same will be true in the House of Lords. If Labour does find some basis to oppose some or all of the Bill and some Tory MPs rebel, the Government may find its majority in danger. It may have to strengthen the Bill to meet some of these concerns on centralisation of executive power in Whitehall. Sixth, in the devolved institutions, the Bill will be acutely controversial. The Scottish Parliament is likely to withhold consent for the amendments to the devolution settlement. The UK Government may reply by arguing that the constitution of the UK and foreign affairs are in any case issues reserved to the UK Parliament, and that the so-called Sewell convention, incorporated into the Scotland Act 2016, states the UK Parliament shall not normally legislate in devolved areas without the consent of Holyrood. It is also likely that legal challenges to the eventual Act around these constitutional issues will follow in Scotland, and in Northern Ireland, given the knock-on consequences for the Good Friday Agreement. Seventh, if EU Law no longer applies from the date of cessation of membership, then the status of non-UK EU nationals in the UK will need to be regularised under domestic law following any deal within the Article 50 negotiation process. This may also be a flashpoint particularly for the eastern European states who may seek equal treatment over welfare eligibility for their nationals who reside and work in the UK. Eighth, there will be economic and regulatory consequences for the pharmaceutical, agricultural, life sciences, transport, delivery, aviation and other sectors if the UK does not continue joint policy co-operation with the EU post-Brexit through any new Treaty. New regulators may require to be established, or existing UK regulatory bodies may be given new roles to replace those of EU regulators as far as the UK is concerned. Although the legislation may seek to minimise regulatory differences between the pre and post-Brexit environments, these may be unavoidable in some sectors. Ninth, on financial services, without transitional protections for the industry, which the Government is said to be not minded to negotiate, uncertainty in long-term investment decisions by investment banks and other financial firms appears inevitable. The decision to effectively cease membership of the Single Market could mean that the issue over equivalence is now more sharply in focus, and requires the UK to continue to apply regulations which are identical to those of the EU in all important respects. It diminishes the possibility of regulatory divergence between the UK and the EU. Nevertheless, equivalence is only possible within the limited areas covered by relevant EU Directives, with considerable exclusions for large swathes of the financial sector, and is subject to reassessment by the Commission. 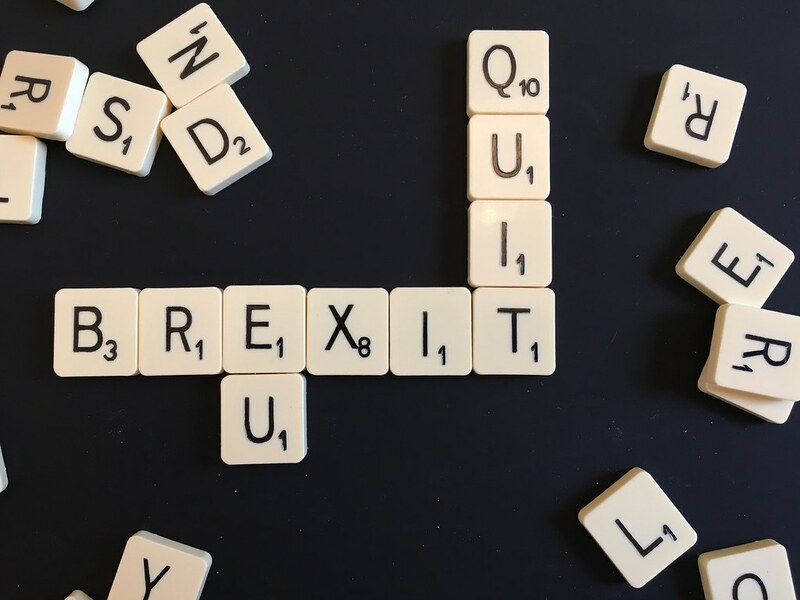 Reasonable estimates of the effect on the sector could place doubts over a fifth of UK-based activity on Brexit, with consequences for the £66bn it contributes annually to the UK economy. Tenth, if a new relationship between the UK and EU cannot be negotiated by the expiry of the two year negotiating period activated by Article 50 – what is the fall back position for both sides? If the Great Repeal Bill is passed by that stage but transitional measures requiring the continuing application of EU Law are viewed as necessary to avoid significant financial cliff-edges for key sectors, will it be flexible enough in the way it comes into effect to permit transitional arrangements to take effect? How would it be possible for a state to continue within the Single Market for a period after departing as a member state if the Norway and Swiss options are not regarded as a template? Brexit is emerging as the biggest diplomatic, political and economic challenge facing the UK for several decades. It will dominate the work of Government, and its effects will be felt on migration policy, the structure of the economy, housing and public services for years to come. As yet we do not know the entire direction of the UK’s journey post-departing the EU, but this week in Birmingham has been an important staging post.